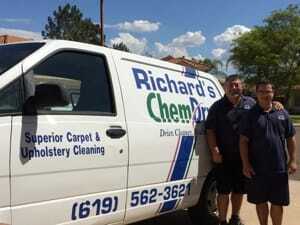 Are you looking for carpet or rug cleaning services in San Diego? If so, Richard's Chem-Dry is the right choice for you. Our skilled team uses eco-friendly products to provide exceptional cleaning services so that you have a clean and tidy home. We proudly serve customers in the San Diego and the surrounding community. We have over 30 years experience in cleaning area rugs, commercial and residential carpets, upholstered furniture and more. If you have any questions regarding our services, call us at (619) 592-8349.